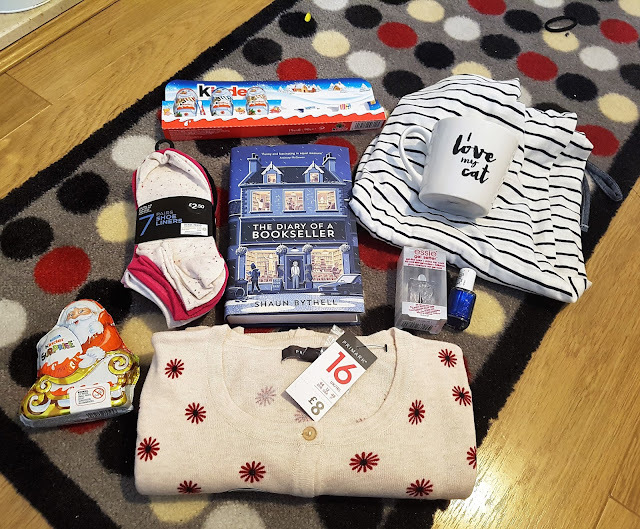 First haul post of 2018 - woo! 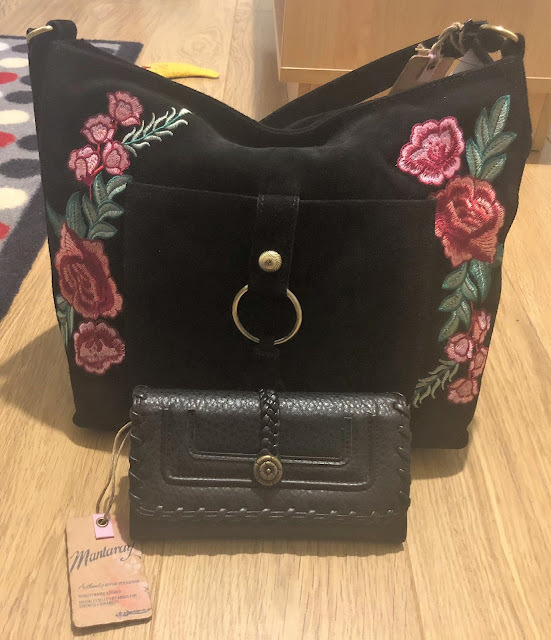 Although one of my goals this year is to spend less money, and shop less, there'll still be a fair few of these posts floating around on my blog. 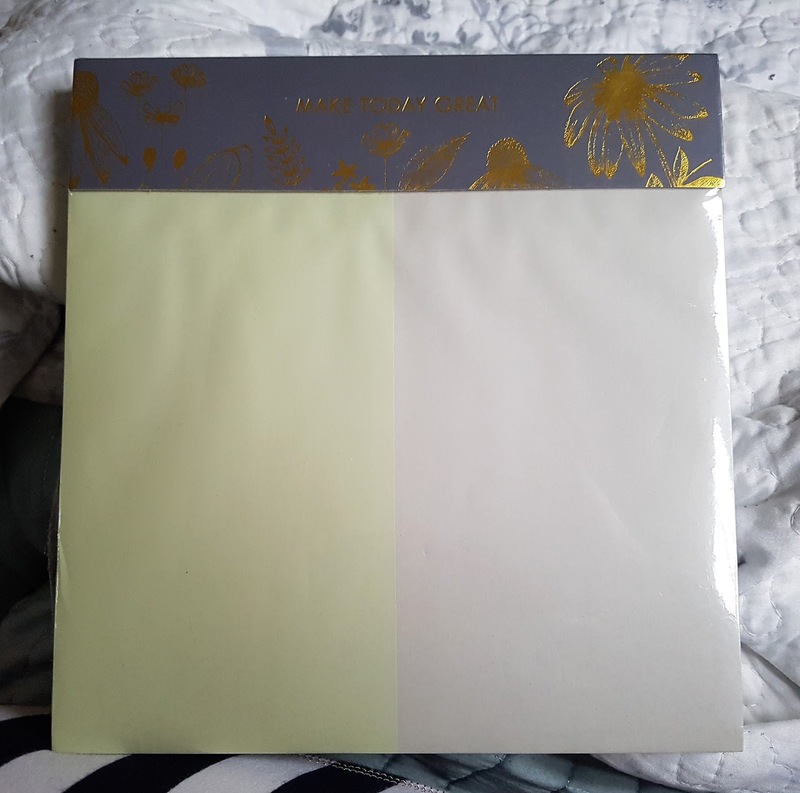 I love sharing what I've been buying recently! I have a January 2018 sales haul post coming up on the blog soon, but right now, here's what I bought towards the end of 2017. Backstory: around October time, my anxiety became so bad that it manifested itself in very physical symptoms. Namely, an excruciatingly painful, aching jaw from jaw clenching/grinding. I couldn't sleep. I cried from the pain. I tried everything to get the pain to stop. Both the dentist and the doctor told me they couldn't help. Brushing my teeth was painful, so I was advised to use a soft brush. 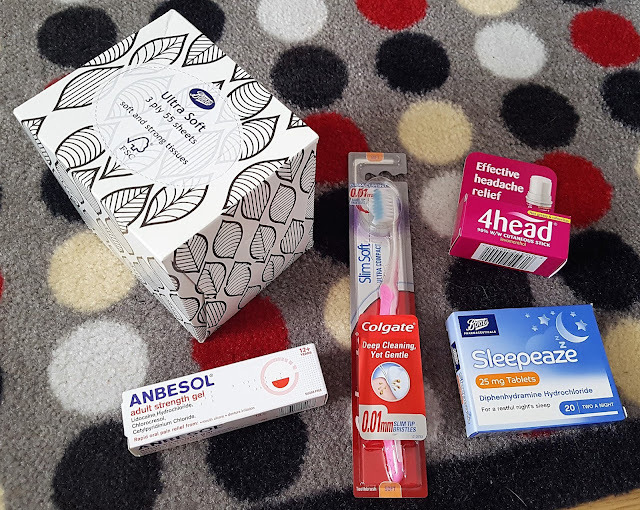 Anbesol provided me with a temporary (very temporary) reprieve, and Sleepeaze helped me grab enough sleep every night to just about make it through the next day. It was a good four-six weeks before the pain let up. And I hope it never comes back again! And then I decided to treat myself because YOLO, and bought a new handbag and purse in the sale in River Island. But why are River Island bags so heavy, even without anything in them?! I found this super chunky, super useful, super cute notepad in Wilko, and it now sits on my desk at work for making quick notes, jotting down telephone numbers, making reminders etc. 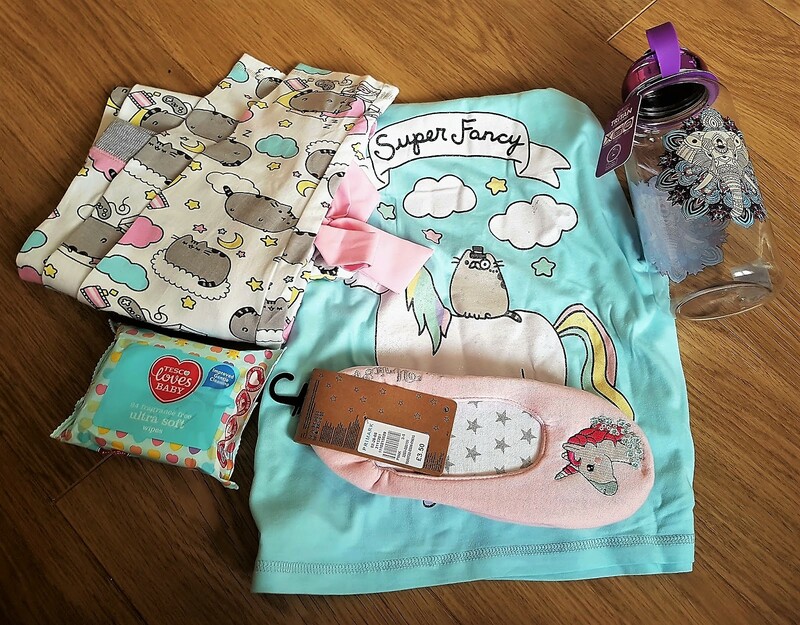 How cute are these Pusheen shoe liners from Primark, though? I've been buying all the ankle socks from Primark recently. I have Harry Potter ones, My Little Pony ones, even The Simpsons ones. And now, Pusheen! These unicorn tumblers are from Asda who, by the way, have an amazing unicorn range in stores at the moment. Everything from mugs and glasses, to plates and bowls! I became addicted to these Kinder chocolates. I went on the hunt for them, everywhere. And then bought them in bulk. And ate them in bulk. No wonder I gained about ten pounds over Christmas! Also, I found out that you can buy a pack of seven shoe liners for the same price, or less, as a pack of three themed ones. So I did that. And I finally decided to see what all the Essie hype is about with my first Essie nail polish purchase! 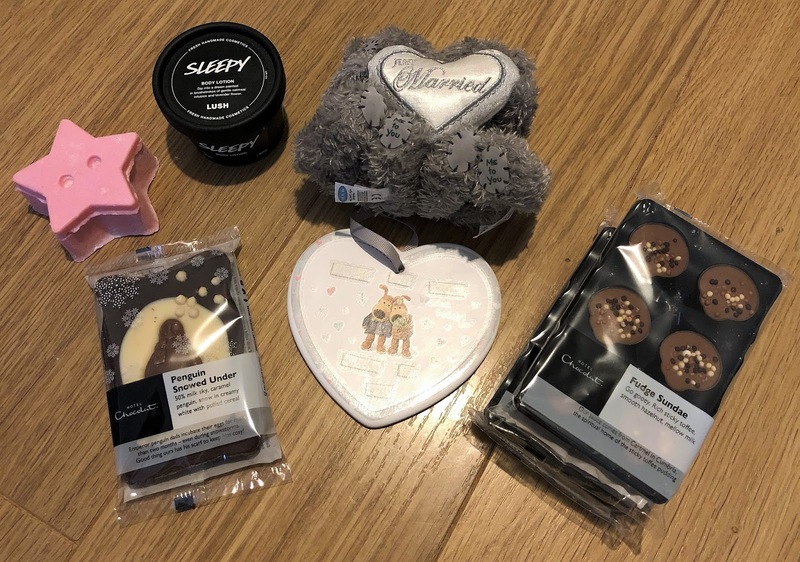 Okay, but can we talk about why I spent over five pounds on a little pot of Lypsyl? Because it has a mirror in the lid, that's why. Also, I am one hundred per cent addicted to Hotel Chocolat's Fudge Sundae chocolates. Delish! 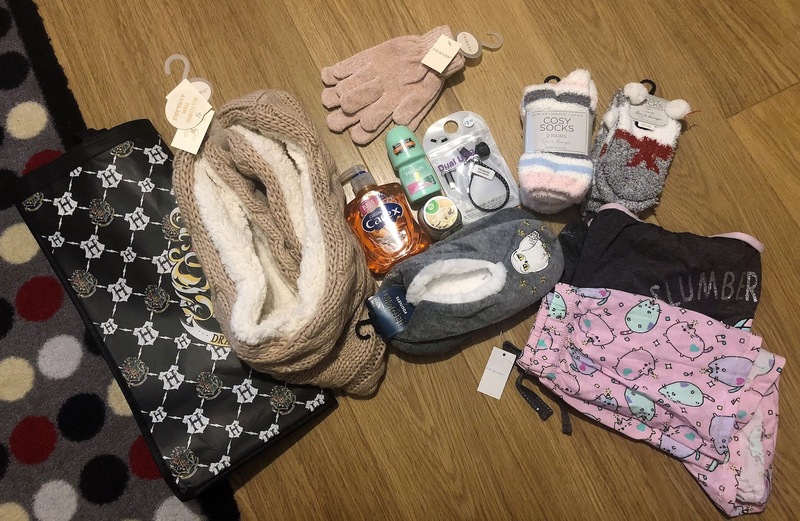 A, mostly Primark, haul. I love this Harry Potter tote bag, but was gutted to discover a huge hole in when I got it home! I also picked up a new scarf and gloves because, news flash, it's freezing outside. And I finally, finally, found the chocolate orange scented soap I was looking for. Hurrah! 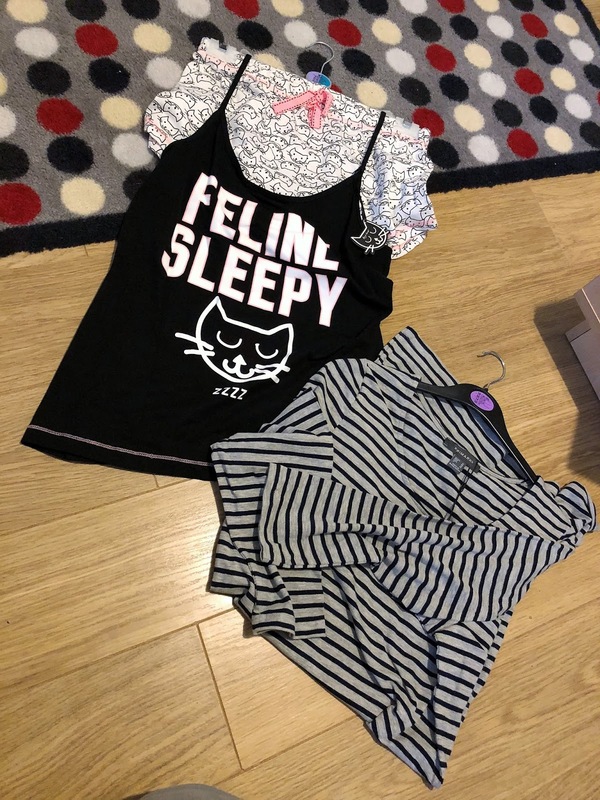 Pusheen pj's! I am one hundred per cent obsessed with Pusheen right now, to be honest. I bought this elephant water bottle for my mum, as she loves everything elephant related. Her love for elephants is right up there with my love for unicorns, actually! More chocolate! And now we can definitely see why I gained so much weight over Christmas. I've been desperate to try this Sleepy body lotion from Lush, as I've heard it really helps with sleep. I've actually yet to try it though, so I can't comment. Also picked up this two-in-one product from Lush; a massage and sprinkle bar. When I was in Clinton's I couldn't resist these Just Married bears, and this Boofle Plaque that says "Married in 2017"! Our house is being taken over by cushions, but I am totally okay with that. Especially when most of them are Harry Potter themed. Also, bought these boots from Primark in black before. 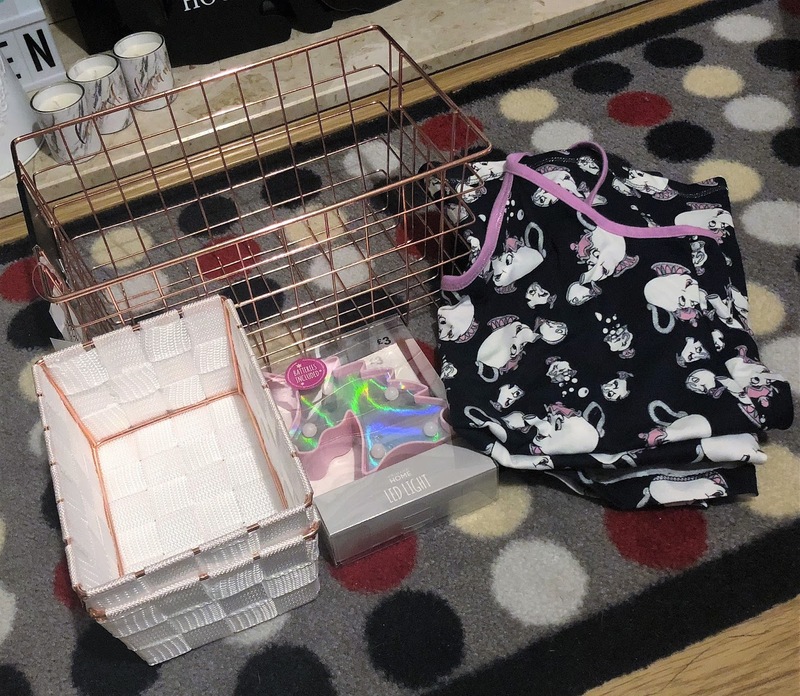 Loved them so much, and got so many compliments on them, that I decided to buy them in blush pink, too! This super cute, stripy dress was only a fiver. I couldn't resist! I team it with a pair of black leggings, and a cute cardigan, and it's the perfect outfit. 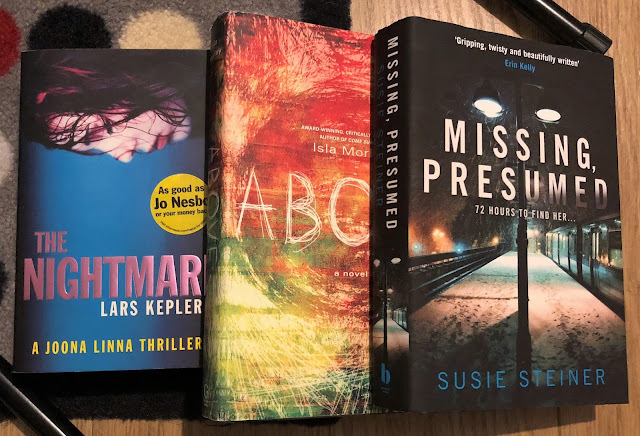 Who went on a book buying spree in The Works? This girl! Their books are just so cheap. And, usually, I can't find anything I like in The Works, but this time? I found loads! Also picked up this diary in a 3 for 2 offer when I bought my grandma and mother-in-law one each for Christmas. 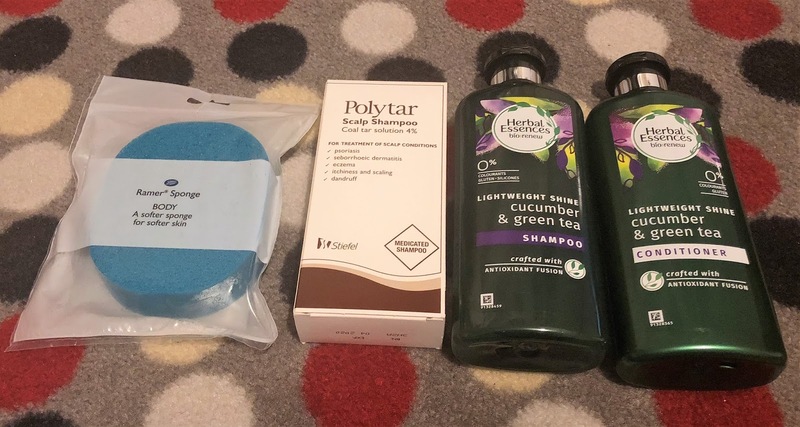 I've had really itchy hair lately, so I picked up some Polytar to help alleviate the itch. And it worked! Two washes with Polytar, and my hair feels back to normal. 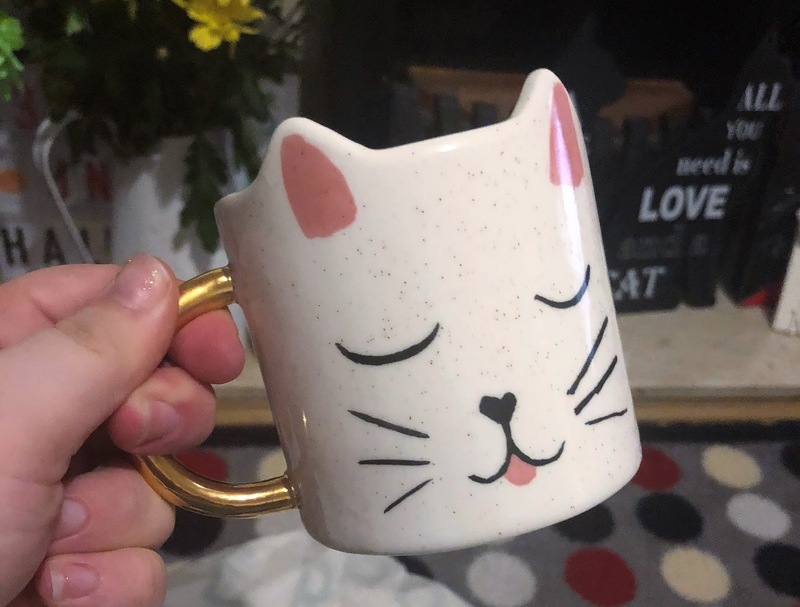 Popped into the new Oliver Bonas store that's recently opened in Cheltenham, and I had to pick up this cute af cat mug. More Hotel Chocolat buys! The Caramel Cappucino is actually really good value for money, as you get two slabs of chocolate. I bought it for my husband, as I'm not a huge coffee fan. 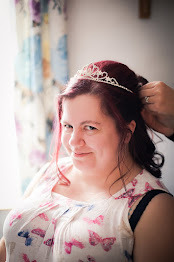 I'd been lusting after this rose gold, wire basket from Primark for ages. But I couldn't see how I would use it. When I saw these white and rose gold baskets, I soon realised they would fit inside the wire basket, and so I promptly purchased both! Another cushion! But it's okay, because I'm repping Hufflepuff. 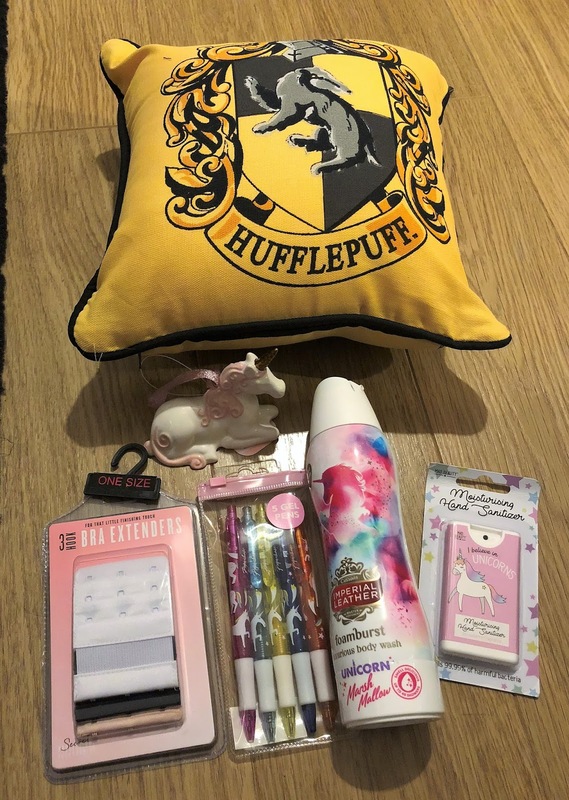 Couldn't resist a few unicorn related buys whilst Christmas shopping either. The gorgeous unicorn ornament, and hand sanitiser, both came from Peacocks. The Unicorn Marshmallow body wash, from Boots. 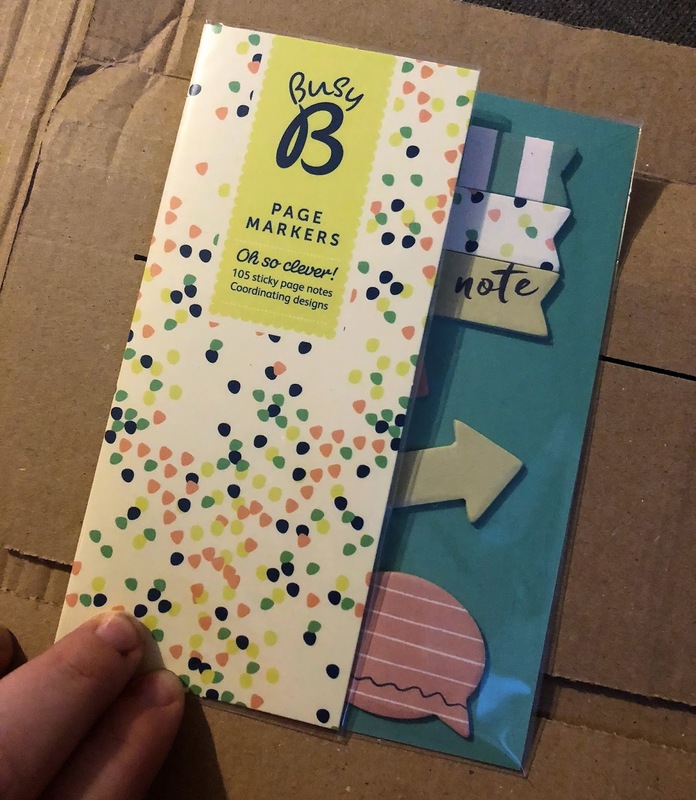 I bought a new Busy B diary recently, for 2018, so I picked up some Busy B page markers to go along with it. I read Celeste Ng's first novel, Everything I Never Told You, a few years ago and quite enjoyed it. 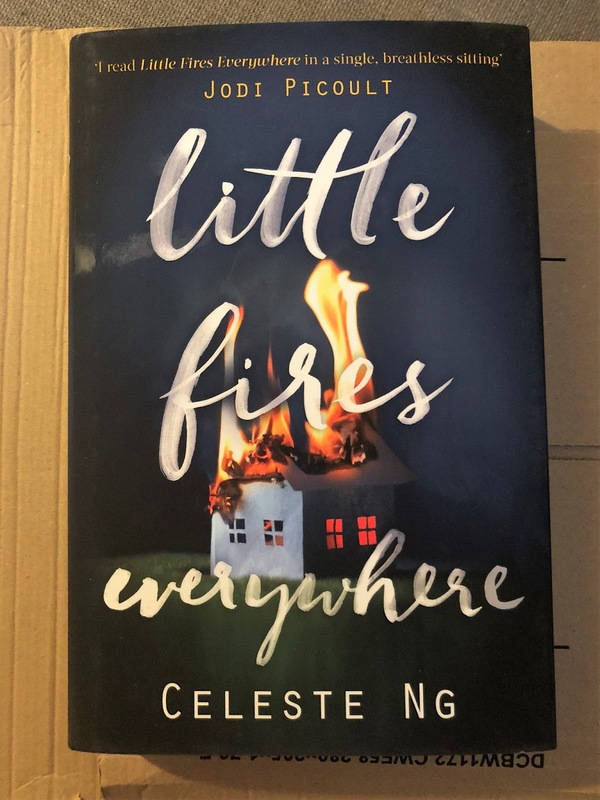 Her latest novel, Little Fires Everywhere, was being raved about in magazines, so I decided to pick up a copy for myself to see what all the fuss is about! And then Steph took me to her favourite used bookstore. And I found three books I've had on my wishlist for ages. 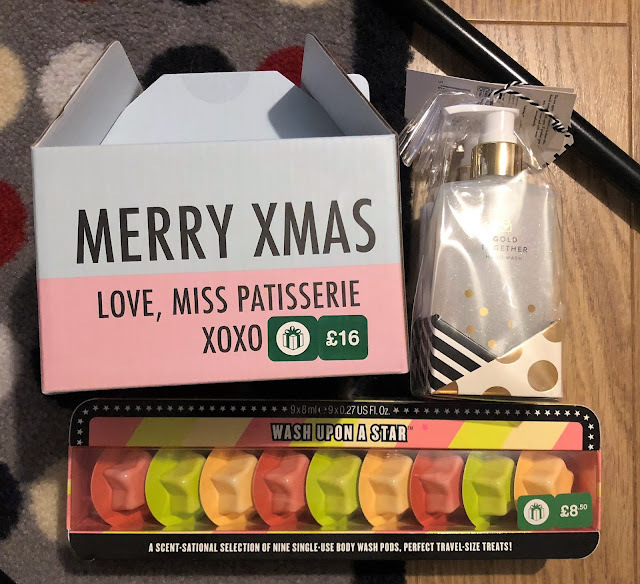 And I took advantage of the Boots 3 for 2 offer to pick up some bath bombs from Miss Patisserie, some hand soap and lotion duo, and Soap and Glory body wash pods. Let's end the post with the worst photo possible. 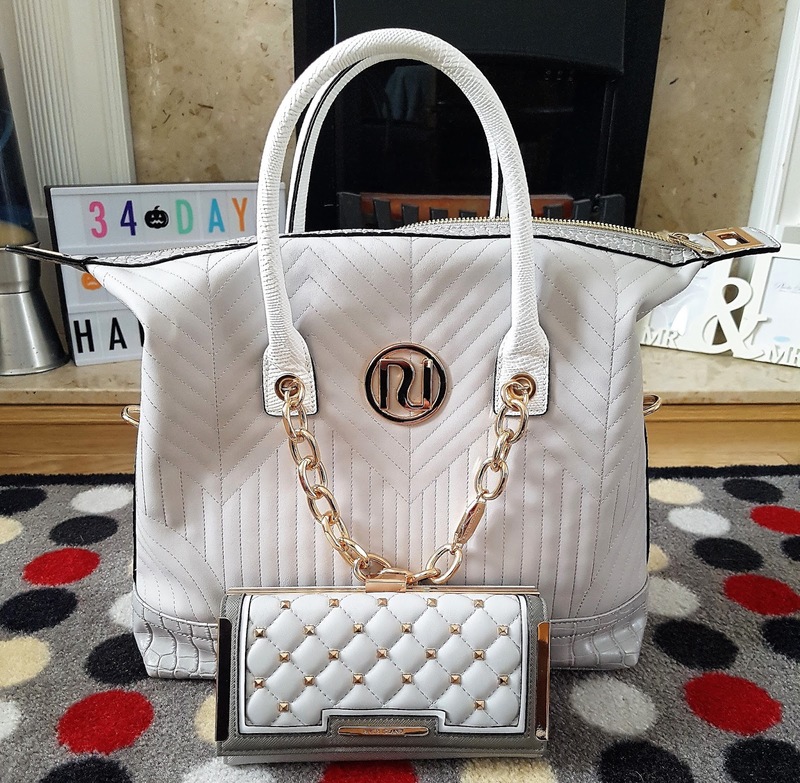 But I splurged on a handbag that was a lot more expensive than I would usually buy, but I fell in love with it at first sight! Do you enjoy my haul posts? I'd love to know! Now that you've been to the bookstore you can't unfind it mwhahaha! I can't wait for our next coffee and book shopping date! 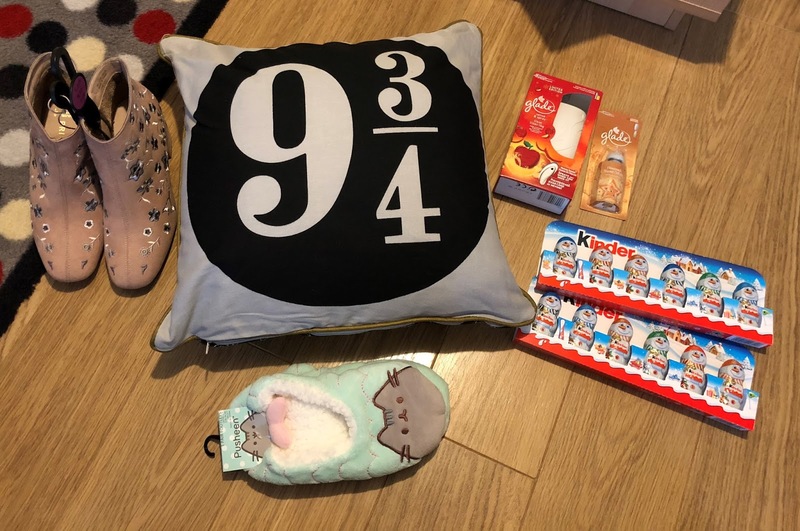 I really want the fluffy pusheen slippers, and I'm so jealous of your Hufflepuff cushion! Wow, that did go on a spree didn't you! 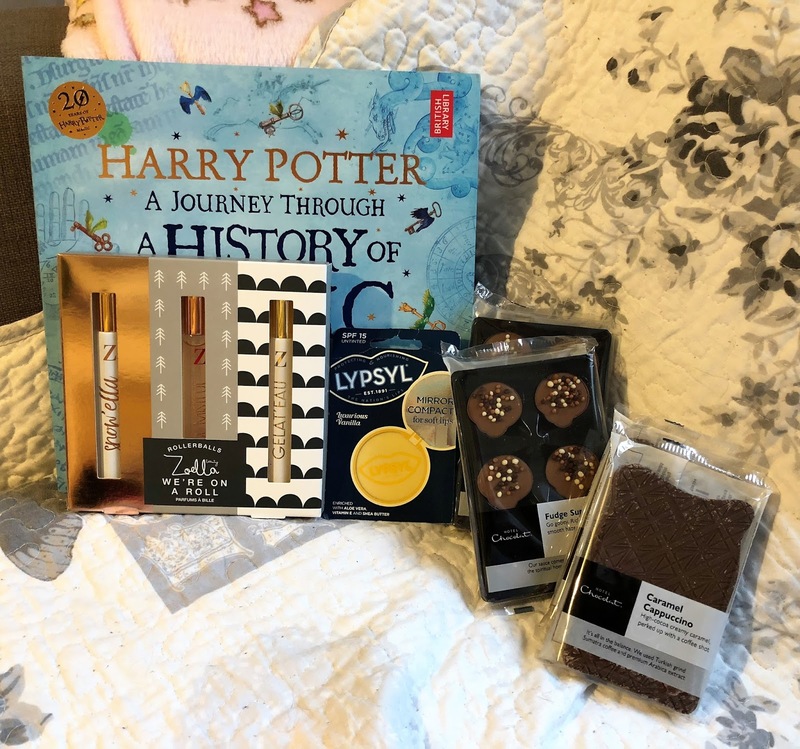 I'm jealous of all your Harry Potter goodies! 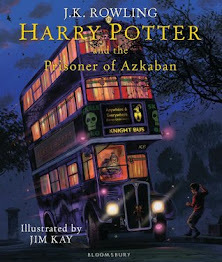 What's that HP book?